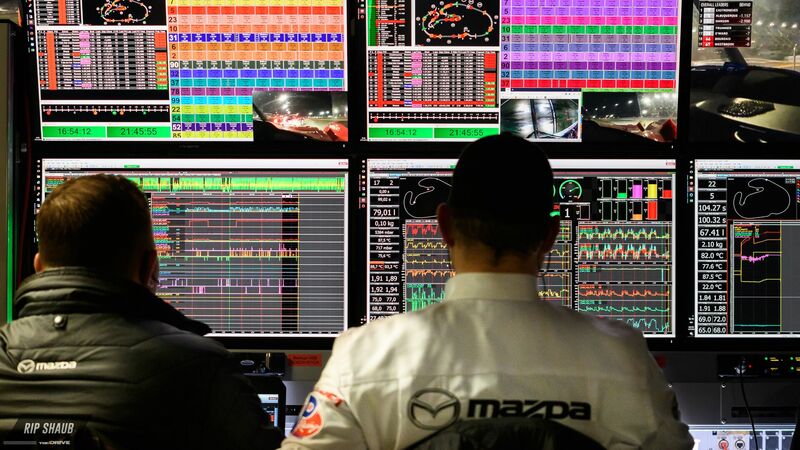 Mazda Motorsports North America is headquartered in Irvine, California, just 30 miles away from this weekend's IMSA WeatherTech Sportscar Championship round in Long Beach. The Joest-entered two-car effort looks to take advantage of this home-track feel, and after heartbreak in Daytona then glimmers of success at Sebring, the team will look to place at least one Mazda RT24-P on the podium. Luckily for them, a well-seasoned driver lineup and experienced race crew have had good fortune at the 100-minute race in the past including last year's running at the event. Joest's debut race with Mazda, the 2018 Rolex 24, was a rough one as both cars retired within an hour of each other. An exhaust problem led to a contest-ending fire in the No. 55 prototype and the team decided to pull its sister entry, the No. 77, as a result of persistent electrical issues. The team did have a good outing early on, though, running in the top-10 during the second hour before eventually bowing out of the day-long race. However, Sebring saw a more positive display for the German-American outfit. 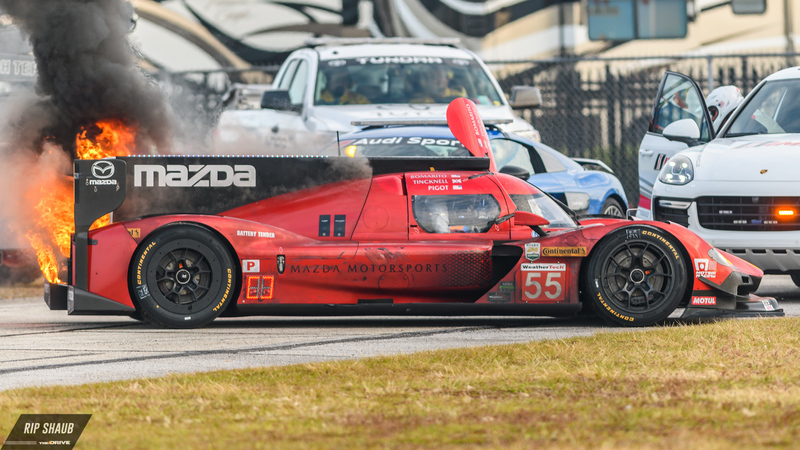 The Mazda prototypes' 2.0-liter turbocharged engine performed exceptionally during the cool weather hours and the Multimatic-built chassis shined at the notorious Florida track. The No. 55 car finished one lap off the lead after contending for a podium into the night; a late-race issue caused driver Harry Tincknell to stall in the pits with a dead battery that was caused by an ongoing clutch defect. Despite that, the team saw major leaps of progress and is hopeful for its return to the streets of Long Beach where Mazda nabbed a podium in 2017. Jonathan Bomarito, longtime Mazda factory driver and pilot of the recently successful No. 55 RT24-P, is optimistic about his crew's chances ahead of Saturday's competition. As for Bomarito's teammate Harry Tincknell, this will be his first time at the SoCal track. The Brit has spent most of his career in endurance racing across the pond, driving with Ford Chip Ganassi Racing UK in WEC as well as past stints with P2-class Le Mans winners Jota Sport. “I’m really looking forward to my debut at Long Beach next weekend," said Tincknell. "I haven’t raced on a street track since 2013, but I will be as prepared as possible having been on the Multimatic simulator in Toronto and I’ve watched back a lot of the footage from last year. I’m very hopeful of a good result in front of lots of Mazda employees and fans." 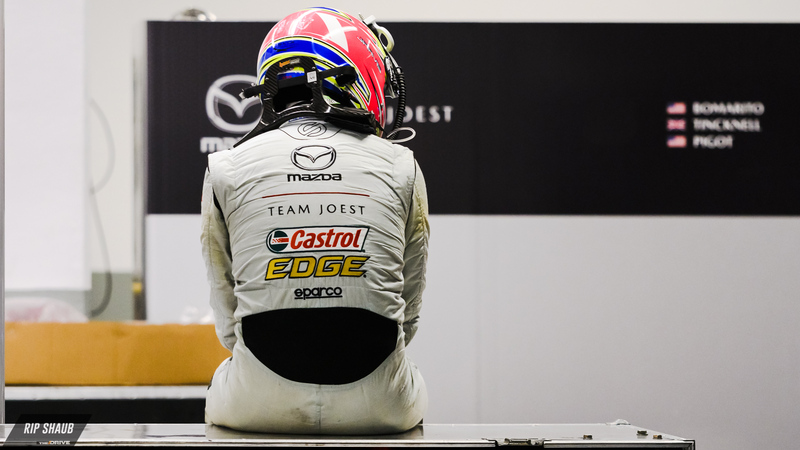 Mazda Team Joest understands that strategy will be key with the race having a short running time relative to the first two rounds of the season. Qualifying is much more important with less space for overtaking on the public roads of Long Beach, and only two practice sessions will make setup and calibration especially tricky. That being said, Tristan Nunez, driver of the No. 77 Castrol/Modspace backed Mazda, is confident that the "boys can give [them] a race-winning package" during the stacked weekend of action. Team Managing Director Mike Hull tells The Drive that pace and consistency are just as important for the 100-minute race.